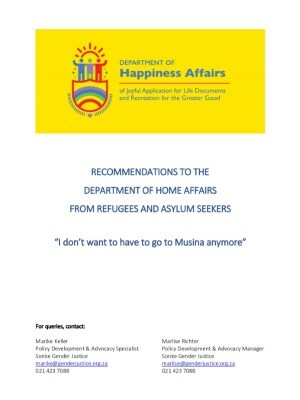 In April this year, Sonke, together with partners, hosted the Department of Happiness Affairs at the Cape Town Refugee Reception Office. During this event, we collected suggestions from asylum seekers and refugees waiting in the queue, on ways in which the Department of Home Affairs can improve their services. See our report with these suggestions here.